See what Figure Savers clients have to say about their Ideal Protein lifestyle. Individual results while following the Ideal Protein weight loss program may vary from person to person. Looking Good for Daughter's Wedding! Thank you for offering the Ideal Protein weight loss program and for coaching me week in and week out over 3+ months to achieve my target weight (losing 50 pounds). My extra motivation was to lose weight for when I walked my daughter down the aisle at her wedding! And it worked. Separately, at my annual physical, my cholesterol historically was 200+. It dropped to 140; glucose was typically at or about 100 and it dropped to 90. Up-front education class prior to beginning - the science of what the body needs. A simple and easy-to-follow program during the weight loss phase. Great selection of Ideal Protein food options. I found the maple oatmeal in the morning, wafer bar at midday and vinegar chips in the afternoon the best. Adding in 2 cups of raw broccoli and cauliflower with olive oil, salt, and pepper helped mid-morning and mid-afternoon. The motivational and educational videos every morning to keep me engaged. The weekly weigh-in coupled with the full body BMI analysis allowed me to see week over week real progress. Access to the Figure Savers team when questions arose. Best of all, Judy and her team care about their clients and really made it an overall positive experience. I am a believer in the Ideal Protein Diet! I have tried many diets in the past 10 years, trying in vain to lose weight gained during that time. 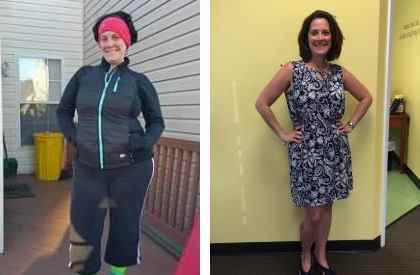 Having been diagnosed with metabolic syndrome many years before it was really heard of, I struggled to lose 5 pounds in a year. I started Ideal Protein after hearing Judy’s success; I figured, what have I got to lose? With my knowledge as a nurse and personal health issues, the science behind Ideal Protein makes sense. It makes more sense than any diet I had ever tried to this point. I have lost 19.6 pounds, and almost as many inches. I try not to worry about the number, as I delight in the closet filled with clothing I can once again wear - and look better wearing! My friends and family have noticed the change; success in a short amount of time is motivating and feeling healthier is even better! Only Halfway and 90 lbs. Lighter!! I never thought I would be here again. Five years ago I lost a hundred pounds. It took well over a year and many miles, and hours on the treadmill at the gym. I felt great and looked great. Then over the course of five years I gained all the weight back and found myself back at 399 pounds; I had given up. Then a friend and prayer partner told me about a diet he was starting, I had never heard of it, Ideal Protein. I did a Google search and found there was a dealer in my area and I went to a seminar. The science just made sense and I felt it was something I could do. That was July of 2012, and just four months later I find myself nearly 90 pounds lighter. What a blessing it has been to me. I feel like I finally found the way to a normal life thanks to Ideal Protein. Judy has been a real friend and mentor. The office staff makes you feel very welcome. I recently went on a trip to NYC. We walked over 20 blocks to Greenwich Village, something I could not have done four months ago. In Times Square, I was waiting for my friends to meet me to catch the bus to go home. I was standing in front of the Gap. I decided to go in to see if I could fit into anything in the store. I walked out with an extra-large sweater. I gave up a lot of my favorite foods on this diet... But I can honestly say, that not one of them tasted better than that. For one who has never worried about what I ate, or worried much about those couple extra pounds I carried around, I figured I was okay since my family never had health issues relating to heart attacks. They didn't really run in the family. So I turn 50 and eventually got around to visiting my family doctor and had a rude awakening, Type-II diabetes and stage 1 going into stage 2 high blood pressure! Not me, it must be a mistake! This doctor must have switched the results. Well, it was me. I was put on diabetic medication immediately and was on the verge of being put on blood pressure medicine if I could not get it down fast. I kept hearing my friend Danny talk about this diet program that his wife Judy is involved with. So I decided to check out Figure Savers and see what this Ideal Protein diet was about. I signed up for the Ideal Protein weight loss program and yet life kept getting in the way. "Oh, I'll start next week; I have this or that coming up." After 2 months of "this or that," I had another doctor visit. Blood pressure was still high and out came the prescription pad. So it was time. August 1st I started the diet at 222 lbs. The first week was complicated. It was mainly getting new eating routines in place and remembering that you can't eat that anymore. The diet was good in a way of making sure you were not experiencing hunger pains. Now was the fun part. As my coach reminded me "No cheating, we will know if you do!" Well, after week one, I lost 6 lbs. I figured, yeah, it's probably all water weight. Then week two, I lost another 6 lbs. Wow, this is more than water weight. At the same time, I was monitoring my blood sugar and blood pressure daily. Within four days after starting the diet, my sugar levels went back down to normal. I stopped taking the diabetes medication. Blood pressure was still high. I continued on with the diet. During the time, I went to two weddings and a bachelor party and watched others eat and drink and be merry. Even my kids had no mercy, eating McDonald's in the car in front of me. I just kept reminding myself, I am too young to start down that medication trail of who knows what. I knew I could not cheat. After 6 weeks, I noticed a trend in my blood pressure. The statistics showed my blood pressure was slowly coming down as I continued to lose weight. This was the major turning point for me. The diet is doing what I was promised. So wow! I lost 36 lbs. No clothes fit anymore. None! I went from a size 36 waist relaxed fit pants (really a tight 38 waist) to a size 33 waist regular fit pants. I went form an extra-large shirt to a large shirt. Extra-large shirts look like a tent when I hold my arms out. Now, here it is in December and I still have not put the weight back on. The best part, no medications and even better, Christmas is coming and that means all new clothes. If you want to lose weight, make sure you have a goal. Not only a target weight but a driving force behind it. That was the only way, I could do this diet. I never dieted before. My friends made fun of me when I would not cheat but in the end respected me for what I was able to accomplish. If I cheated even once, I knew it would cost me my goal. It is important to have a coach. They are there to keep you on track and to educate you on proper eating habits. I was amazed at how much I did not know or understand about food consumption and how your body responds. Now with modified eating habits, I know I can keep the weight off. If you want a diet that works and you are willing to work for it, this diet will work for you! Thanks Figure Savers and thanks to Judy! A few months ago my husband and I were looking at photos we had taken while on a cruise. I said to him, "I don't like how I look." His reply was, "then change it." My quest for changing how I looked ended when I was introduced to Ideal Protein by my daughter. I was "sold" when I witnessed her success with Ideal Protein. Today, I'm happy to report that with the help of Ideal Protein, I did change how I looked by losing a total of 38.6 lbs. Thank you, Judy! Wow, what a journey! I found out about IP from a friend but knew nothing about the food or the program. I found a meeting that next week; it was the best decision I had made. I weighed in on March 4, 2015 with a weight I just couldn't believe, but with the help of Judy my journey began. The food was great, plus I learned how to eat and prepare meals, easy to follow. I am down over 30 lbs. and have reached my goal! I can't tell you how good I feel and how wonderful it is to just put cloths on and not struggle to see what fits and what doesn't. I am a happy girl and look forward to my continued success. I’ve been on the IP diet and it is very good. I like the fact that I don’t have to really think about what I’m going to eat, but that it is on paper and easy. I really enjoy it and am happy with the weight loss. The best part is that I never thought I would start putting my clothes in the dryer to shrink them! It feels so good to wear some of my favorite clothes again. And when I went for my check-up last year my doctor told me I really needed to start watching my carbohydrate and sugar in-take or I would need to go on medication. I had heard so many great things about Ideal Protein, I decided to try it. Well, now I’m happy to say that my blood sugar and cholesterol levels have come dramatically down. What a good diet! I had a job that required a lot of sitting, writing, and driving. The only time I got some activity was when I was carpooling my children to their activities, where I'd again sit and watch. I felt unwell, and unknowingly I had put on 20 pounds over 3 years. I didn't really notice it until I went to my cousin’s promotion in May. The picture sort of woke me up. I had done Ideal Protein before as solely a weight loss program. This time I committed to the lifestyle change. I am educated about the science of weight loss, and I understand how my body will respond to different combinations of foods. I feel well and I'm delighted that I made this commitment to myself. Doing the Ideal Protein Diet at Figure Savers is one of the best decisions I've made in my life. I’ve always been someone worried about weight growing up, whether it was maintaining weight through an off-season or being a certain weight to play a certain sports position. So I have tried a couple diets and not one of those diets would have given me the results I’ve received in 12 weeks. Since finishing the diet I’m lighter on my feet, I have more energy, the slight joint pain in my knees is gone, and I just simply feel a lot healthier. Not going to the gym helped my body recuperate from frequently going therefore I’m not having any soreness or aches you would get following a workout. I lost a total of 45 lbs. in 12 weeks and I can’t think of any other way I would’ve done it. As a result of the diet I went from a size 40 waist to a 36 waist, size XXL shirt to a large shirt. I have received nothing but positive reactions and faces of disbelief from those who didn’t see me throughout the 12 weeks. After seeing my results, two friends of mine have started the diet because they have no choice but to accept that this simply works. I would recommend this diet to anyone looking to lose fat and inches quick. Judy is a great coach and does an excellent job with motivating and guiding you every step of the way. 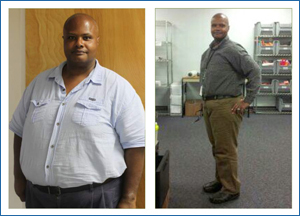 My journey to lose weight began January 2014. My doctor said I was now considered obese AND I was diagnosed with high blood pressure. I did not want to go on medication to lower my blood pressure, so I decided it was time to start dieting and include an exercise program. I joined a 16 week fitness class where I did 45 minutes of intense cardiovascular exercise on an elliptical machine 5 days a week and an additional hour of weight training 3 days a week. Being a former athlete I knew if I put in the time and effort I would lose the weight. At the end of the course – I had lost a net of six pounds. My blood pressure was still very high and I had inflammation and joint pain. In addition, my blood sugar level was beginning to become an issue. My doctor decided to prescribe blood pressure medication to help lower my blood pressure. I was very discouraged about my ability to ever lose the weight I desperately needed to lose to be healthy again. I heard of the Ideal Protein diet through family friends who had each lost over 100 pounds on the diet. I had planned to join the program in 2013, but I never got around to it. I tried the old fashion way to lose weight and only lost 6 pounds. Now it was time to try the Ideal Protein Diet. 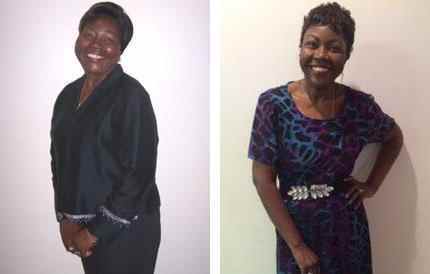 I lost over 5 pounds my first week on the diet – and I did not have to work out! I was thrilled! I actually looked forward to going in for my weekly weigh in and BMI (Body Mass Index) analysis. It was so exciting to step on the scale and see how much weight I had lost. The best part was I was able to get off the blood pressure medicine only one month into the Ideal Protein Diet. I lost the weight over the summer when most friends and family are away on vacation. So when I ran into a friend or doctor or someone I hadn’t seen for four months, each person was amazed at how thin I was now. Over a five month period, I dropped a total of 41 pounds and sixteen inches! My pants size went down 6 sizes! My doctor did not even recognize me and gave me a high five when I last saw her! I did it! 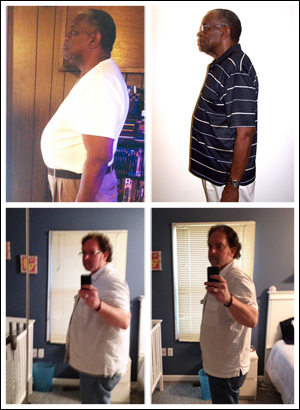 I was able to lose the weight I needed to regain my health. 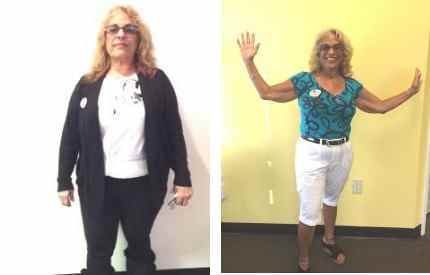 I feel great, no more high blood pressure, and no more inflammation in my joints, no more back or knee pain AND my BMI dropped from 40.9 percent body fat to 23.3 percent. I am proof positive that the Ideal Protein Diet makes sense AND – It works! Ideal Protein Changed My Life! Where do I begin? Ideal Protein has changed my life. Everyone reads testimonials and forms their own opinion (those are real people, those are made up, nothing works that great, etc.). I can tell you from the bottom of my heart (a healthier heart now) that Ideal Protein works!!! I am a mother of four girls, a wife and owner of a catering business. I have always taken care of everyone else before myself and eating right was definitely not a priority. Stopping what I was doing to eat was a challenge for me. I have always been active (played soccer through college and beyond, walked on a regular basis, hiked and played outside with the girls and the dogs as much as possible) and didn’t have to worry too much about gaining weight; then I turned 40. Being a caterer I am on my feet a lot for events on the weekends but during the week I am at a desk doing sales, contracts and meetings. The combination of sitting at a desk, not eating and turning 40 slowly started to add on the pounds. Before I knew it I was 161 pounds on a 5’ frame. I wasn’t sleeping well, I was irritable because I didn’t like the way I looked and I didn’t feel healthy. What kind of mom was I being if I couldn’t take care of myself properly? I decided to do something about it; I tried a personal trainer (lost nothing), weight watchers (lost nothing and far too complicated with my hectic schedule), and even tried to do it on my own (that was a joke). At an annual visit with my doctor I talked to her about my weight and my concerns and she recommended Ideal Protein (she herself had done it with great success). She said it would fit my lifestyle and was very easy to follow. It would not only help me lose weight but would lower my cholesterol as well as my blood pressure and make me feel better overall. I figured what did I have to lose (other than weight). I made my first appointment with Judy and ended up cancelling 3 times due to work, family schedules, etc. Again I was not making weight loss a priority. Finally, I stuck to my appointment and listened to the information closely. When Judy took out the bag of sugar, I knew I was making the right decision and it has proven to be the best decision I have ever made!! I began Ideal Protein and have never had such a positive experience on a diet. I was not hungry, the meal plan was easy to follow, I found some GREAT new recipes, stayed motivated by the videos and the coaches were extremely knowledgeable and the best cheerleaders you could ask for!! When I first started I was very concerned about whether or not I would be able to stick to the diet and not cheat. I am caterer, I am surrounded by food every day, I meet clients at restaurants and we talk over cocktails. Was I setting myself up for failure? However, with the support of my family and the team at Figure Savers it was not as difficult as I thought. I substituted seltzer water and lime for alcohol when I was out and found it easier than I thought to find things on a menu (if needed) to snack on with a client. At home I didn’t have to change too much. I was already cooking dinner for them on a regular basis so I only had to make a few adjustments in preparing our meals. We all found some GREAT new recipes that none of us would have tried if it had not been for my dietary changes. In the long run, not only did I change my eating habits to a healthier way of life but my family’s as well. When I went back for my first week at weigh in I was thrilled at the inches I lost. What more motivation can you ask for!! Not every week was as successful but there was always something lost (a ½ inch or a pound) which encouraged me not to give up. About 6 weeks into the diet, my girls and I took a trip to Florida over spring break and it was the first time in many years that I didn’t fret about being in a bathing suit. After 15 weeks on Ideal Protein I reached my goal of losing 30 pounds and feel better than I ever have. More impressive to me is the number of inches I have lost over the time I have been on the diet (over 25 inches in various locations). I have gone from a size 12 pant to a size 4 or 6!! My sister was so impressed with the results when she saw me that she joined 1 month after me! Ideal Protein and Figure Savers is amazing. I have recommended it to family, coworkers and friends and will continue to recommend it to anyone looking for a great diet that not only changes your self-image but your health as well. I am a little nervous now that I am in the maintenance phase but with the support of my family and the figure savers team I know I can do this. Thank you for helping me change my attitude towards food and for getting me back on track with a healthy lifestyle! Can you imagine at the age of 13, entering your freshman year of high school at the tremendous weight of 200 lbs.?! I can, and it was a downhill struggle from there. I have always been the "big" girl in my family as well as in school, but I would always try and justify or compare myself to others whom were bigger than me, and say "Well, at least I’m not that big…Yet." 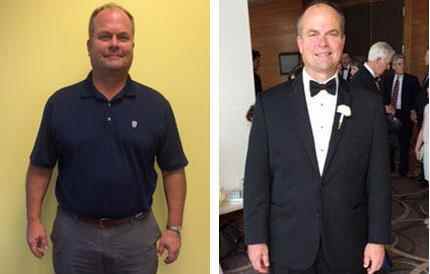 But when I hit 220 pounds my senior year and my doctor started talking about blood tests, and putting me on medication, I knew then, that I had to make a drastic change. My mom had been telling me about a program at her dentist office Smile Savers Dentistry, that she said worked wonders for her friend CJ, and that I should give it a try. I was skeptical at first, because the way she described it, it sounded like a less known version of Weight Watchers, Nutrisystem, or Jenny Craig, but I decided to go to the informational session after lacrosse practice, to determine for myself the geniality of Ideal Protein. That was the start to my weight loss success. They immediately made me a believer, and I signed up right away. I started the program at 220 lbs., with a body fat percentage of 47.23! After the first week on the diet, I am pleased to say I lost a whopping 13 lbs. and ever since I have consistently lost weight throughout my 4 months on Ideal Protein. It has been a struggle though, because I entered the program while I was still in school finishing my senior year. And because it was my senior year, there were countless activities that included foods such as pizza, baked goods, doughnuts, and many other snacks, that proved to test my commitment to the diet and my willpower. I think I passed the test, as I am now 166 lbs., and my body fat percentage has dropped to 37%. This program basically saved me, as my doctor explained to me that if I had continued to gain weight, I probably would have developed diabetes at the age of 18, before my life could actually start. I owe almost everything to this program, and now, I’m living a healthier life. My story actually begins a full year before we started the program with Judy. After having a sleep study done, and the results indicating I might be suffering from sleep apnea, the first action prescribed by my doctor was to try to lose some weight, about a pound a week, to see if losing 10-15 pounds would have a positive effect. 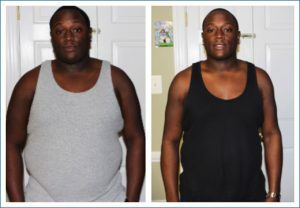 I was moderately successful, as I was able to lose about 15 pounds over the subsequent 6 months (and a follow-up sleep study indicated I did not suffer from sleep apnea), but I was unable to lose any more than 20 pounds, which was frustrating, and by the end of this past summer, I could see that I was starting to gain weight again. This past October, my wife, Linda, and I started the program together, and we couldn't believe how easy it was. I lost 17 pounds the first week, and Linda lost 9, and that was just the start. By the time we transitioned out of Phase 3 in mid-December, I'd lost 52 pounds, and Linda had lost over 30. The Ideal Protein foods were wonderful. Linda loved the Chocolate Drink mix (which makes for an amazing hot chocolate to start the day), and I was partial to Chocolate Soy Puffs and the Strawberry-Banana Ready-made drinks. 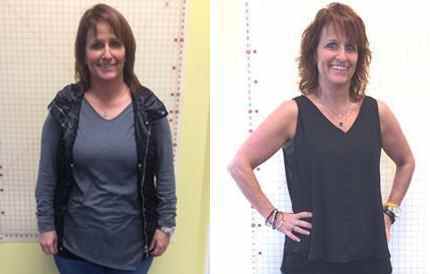 Even though Linda and I both traveled for work multiple times during our program, which made for some logistical challenges, we were both able to lose pounds, and inches, with every appointment we had with Judy. She's an excellent coach, and we still can't believe how easy Ideal Protein is. It works! You WILL lose the weight! Like most people, I signed on to the Ideal Protein Program because I wanted to lose weight. I was tired of clothes not fitting, of hiding from the mirror, of just feeling crappy about myself. 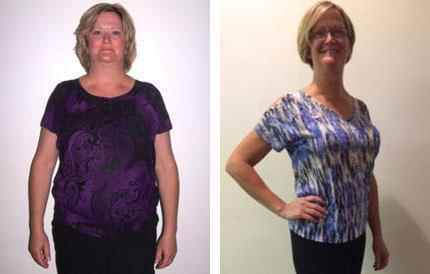 Judy was straight forward – if you do the diet right, it works. No ifs, ands, or buts. It wasn’t that I didn’t believe her; I think I was afraid to hope this could actually work. But true to my commitment, and true to her word, it turned out to be true. The diet really does work if you do it the right way. Every week I have lost weight – sometimes more, sometimes less, but consistently, I have lost weight every single week. I am watching my fat percentage drop on a computerized curve. As a result of this, I have learned something far more important than even losing the weight. For the first time in a very long time in my life, I have something I can count on. My efforts are not letting me down. With every inch that disappears into “fat oblivion,” I am slowly gaining control of my life. I am more focused and more productive. And not just because I physically feel better or because I am thinner. It is so much more than that. I am making what I eat a priority which translates to a new mindset that I am a priority. This is a new way of thinking for me. For many years, I have slowly been losing myself due to a series of losses and personal tragedies in my life. I am starting to believe that maybe other good things can happen in my life. I am taking charge of many things I had put to the side because it either scared me or overwhelmed me. Who would have thought that a peach mango protein powder mixed with water and shaken a few times could really change a life? The old expression – nothing tastes as good as being thin feels… I would add something to this. Nothing tastes as good as being thin feels or as good as refilling hope for your life. You can do this. It is something you can count on! In August 2013, I was introduced to Ideal Protein (through another clinic). Between August and December, I would go weigh in, buy my food and that was the extent of it. I was diligent and I lost 50 lbs. However, after going on vacation in December 2013, I never returned to Ideal Protein and did not transition off correctly. I went back to my old ways (sometimes worse than my old ways actually) Fast forward 5 months and I gained a bunch of weight back. At this point, I really didn't care how I felt. Fast forward to 2014, I ran into an old friend who had been on IP thru Figure Savors for a month and had done great, was feeling great and was overall very happy. She told me about Judy and Danny @ the Figure Savers/Ideal Protein and I knew that I had to meet them! My friend told me about the support Judy and the staff had provided (even when she had a minor or major slip up) was key to her success. Judy and her team never ever made my friend feel that she was a failure or that she couldn't do it. March 2015 I made the choice (because really, it's your choice!) to return to lose this weight once and for all! I have had a few bumps in my road, but Judy has ALWAYS been there to support me. I am happy to say that as of this email, I am down 40 lbs and 24.75 inches since March 2015. I transitioned off in early July and am making great choices and limiting my cheats to the one day a week (and to be honest, I often feel guilty for that, but know it's necessary to keep my sanity). I have never felt better in my entire life! Despite some recent family tragedy (the loss of my father), I have maintained my weight and that has been thanks to Judy and team!! If I had not been on this program and had the support of Judy, I would have found myself knee deep in ice cream, pastries and fruity alcohol drinks just to numb the pain of my loss of my dad. Judy and her team are just amazing and I can't thank them enough. They truly saved my life! I will forever be grateful to the Figure Savers IP Clinic! 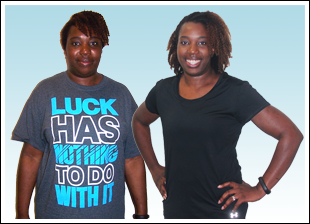 These two dieters are well on their way to their weight loss goals. Check out the progress they have made so far. Congratulations and keep up the great job! 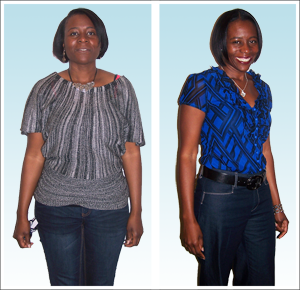 Many of our clients have achieved lasting weight loss success. 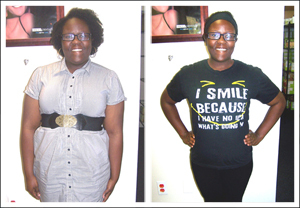 Contact our weight loss center in MD when you are ready to shed your unwanted pounds. We proudly treat clients in Columbia, Maryland. * The results are those of the individual that is identified. Typical results vary up to 6 and 8 pounds lost during the first two weeks and up to 2 pounds per week thereafter when the Ideal Protein® Weight Loss Program is followed properly. You should consult your physician or other health care professional before starting this or any other diet program to determine if it is right for your needs.